Our services include Search Engine Optimization (SEO) which is the process of improving your web presence in order to rank higher on Google search results and generate more online leads. To put it simply; SEO helps consumers find your website and business listings and influences them to make initial contact with your company. Once you have a lead (i.e. phone call, email, contact form submission) a sales conversion becomes more probable. Our team of webmasters uses the most up to date SEO methods to drive relevant traffic to your website and other digital entities (i.e. Google My Business). What Makes HVAC Plumber Marketing Different? 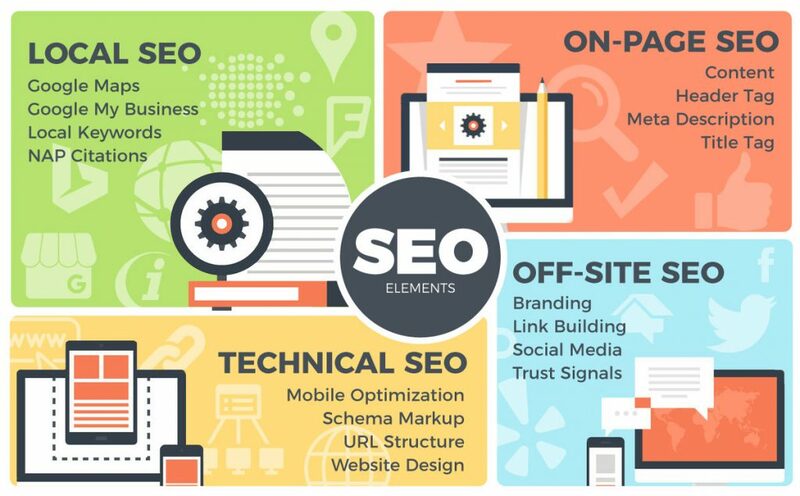 We don’t use a lot of buzzwords when describing our SEO process, instead we just provide the best services that are proven to work over time. How do we know this? Because we have hundreds of contractors enjoying success with these very methods. While we acknowledge what works for our current clients, we also understand that Google constantly updates their algorithm. That’s why we stay informed on the latest changes and progressions at all times. We pride ourselves in staying one step ahead of your competitor’s website, so that you not only establish lead generating Google rankings, but you sustain them for decades to come. SEO is a long-term asset that can serve your business well both financially and practically. We look forward to discussing our partnership with you, and answering any questions you have. With a team of webmasters who are diversely skilled, there’s no aspect of SEO that is foreign to us. From content writers to optimization specialists, we cover the full gamut of search engine optimization for contractors. Once combined with our other skill sets like web design, reputation management, and even PPC advertising, we can take contractors throughout the United States to heights they haven’t seen before. There’s strength in numbers and our team of experts will always outperform the work of a single marketer. You can rest assured that we have your company’s best interests in mind, as evidenced by our hundreds of satisfied contractor clients throughout all corners of the nation. Call 806-414-1313 to speak with an Authorized Dealer. Updated on January 30, 2019 at 3:29 pm by Author.